Dimensions 1.50 by 8.25 by 10.25 in. 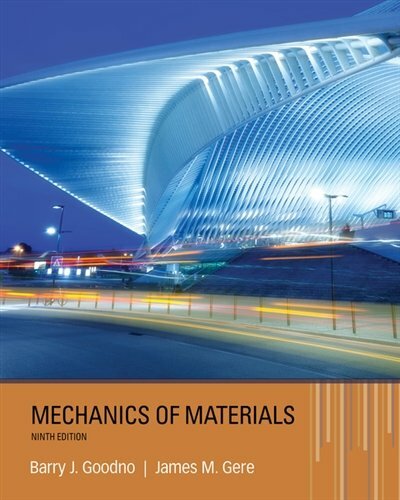 Amazon.com description: Product Description: Give students a rigorous, complete, and integrated treatment of the mechanics of materials -- an essential subject in mechanical, civil, and structural engineering. This leading text, Goodno/Gere's MECHANICS OF MATERIALS, 9E, examines the analysis and design of structural members subjected to tension, compression, torsion, and bending -- laying the foundation for further study.